To extend the city’s deep dive into Latinx and Latin American culture, the Getty Foundation has funded a performance art festival for the tail end of Pacific Standard Time: LA/LA. Organised by the Roy and Edna Disney/CalArts Theater (REDCAT) with $600,000 in funding from the Getty, most of which was distributed to the partnering institutions, the programme includes around 75 different projects spread across the Los Angeles area and runs from 11-22 January. Among the newly commissioned works is a three-part performance by the Los Angeles-based artist Rafa Esparza at the Museum of Contemporary Art's Geffen building. Named using the Spanish word for a mountaintop as well as a Bible verse, cumber: look as far as you can see in every direction, north and south, east and west (2018) explores border territories and bridging mechanisms. The artist's recent work at the Hammer Museum's Made in LA show and the Whitney Biennial involved communal adobe brick-making, while a 2014 performance under a bridge in the Boyle Heights neighbourhood featured an Aztec dancer. 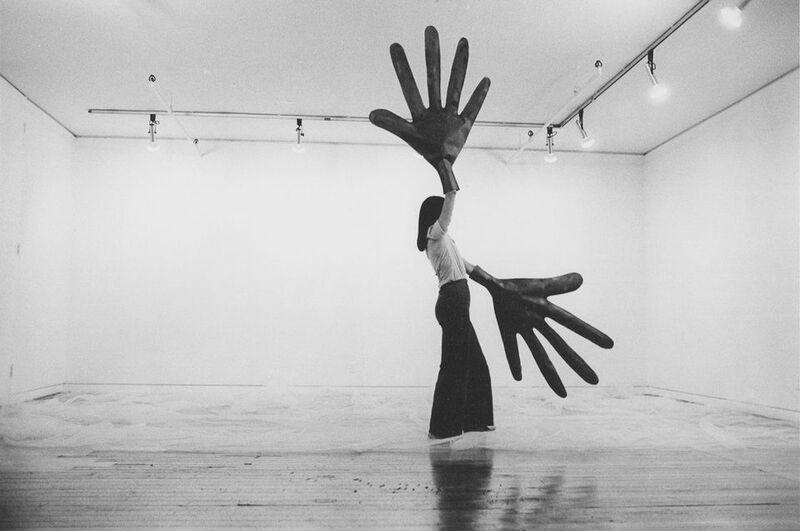 Several of the performances are reinterpretations of historic pieces, like Passing Through (1977) by the Chilean-born Sylvia Palacios Whitman—a standout of the Hammer’s survey Radical Women: Latin American Art 1960-1985. Expect to see surreal stage props like a pair of giant hands in her first West Coast action done in collaboration with local performers at REDCAT. At the Armory Center for the Arts in Pasadena, the Mexican artist Lorena Wolffer is offering what is billed as a “a new interactive lecture performance” that revisits her key work 1997-98 If She is Mexico, Who Beat Her Up? For that piece, she dressed as a bruised and bloodied fashion model, wearing red and green clothes to evoke the colours of the Mexican flag, and embodied a violent (sadistic? masochistic?) country. And the Los Angeles performance artist Nao Bustamante is doing a new project called Teach Me Spanish/Enséñame al Español, where she invites participants to help her learn Spanish and explore the cultural shame associated with immigrants who lose their mother tongue. She started these unconventional lessons this month at a family workshop at the Broad but in January she will take them to a public setting: a kiosk in a MacArthur Park market near the Metro stop.